What does it take to be seen as South Africa’s foremost chief financial officer? This year’s CFO of the year award (as presented by the association CFO South Africa) was bagged by Alexander Forbes’s Deon Viljoen. The chief financial officer of one of the country’s largest financial risk services companies, Alexander Forbes, was selected from 32 CFOs who were shortlisted for the award, all of whom were interviewed extensively by a panel of respected finance professionals to find a winner. So what was it about Viljoen that saw him nab this prestigious award? From the published interviews conducted with him, and findings from the panel of judges, we’ve summed up a few qualities that made him stand out. A focus on sustainability. 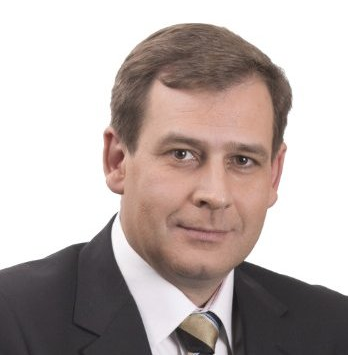 In seven years as chief financial officer of Alexander Forbes, Viljoen guided the company through both a delisting and relisting: a mammoth task by any reckoning. Viljoen said his focus throughout the processes was on sustainability and seeking to create satisfaction for everyone. He sought for “sustainable solutions that accommodated all stakeholders” he said. It takes discipline to look at a situation in terms of its impact on all the parties concerned, rather than from one or two particular vantage points. That practice obviously paid off, with the company’s profit increasing by a cumulative 43% between 2012 and 2015, and operating profit growing from R1.03-billion in 2014 to R1.14-billion in the 2015 financial year. The ‘sustainability’ aspect of Viljoen’s approach is evident in the consistency of margins achieved over time: the operating margin for the group has increased by about 25% every year for the past five years. An ability to prioritise taking the right risks. At one stage in time, Alexander Forbes was looking at a listing or trade sale, executing a capital restructure and selling off a big business (Guardrisk) all at the same time, notes CFO South Africa. Viljoen noted that this was a tough period, but his ability to time and juggle the risk meant that the brand came out unscathed. “Our clients trust us and I feel that I contribute to that,” he said. Don’t pass the buck. When accepting his award, Viljoen said there were two kinds of challenges in life: those you inherit and those you voluntarily take on. “Both are inspiring … they come from different parts of your being,” he said. This chief financial officer draws the positive from all forms of challenges. He owns all the “problems” his role encounters, including those he did not cause. Learn lessons from your subordinates. Viljoen’s example teaches that a chief financial officer should keep learning from those who surround them, despite occupying one of the most senior and respected positions in the company. Never assume you know more than anyone else in the boardroom, or that you can’t learn anything from a technical worker or line manager. Maintaining an attitude that conveys “I can learn from you” no matter who you are interacting with, will help you maintain good relationships and simultaneously ensure you keep growing professionally. “You pick up wisdom from those who work for you and those who work with you,” he said. At The Finance Team we develop professional excellence by learning from the best in the industry. If your company needs the assistance of a part time or interim finance professional, be they a chief financial officer, finance manager or project accountant, give us a call.